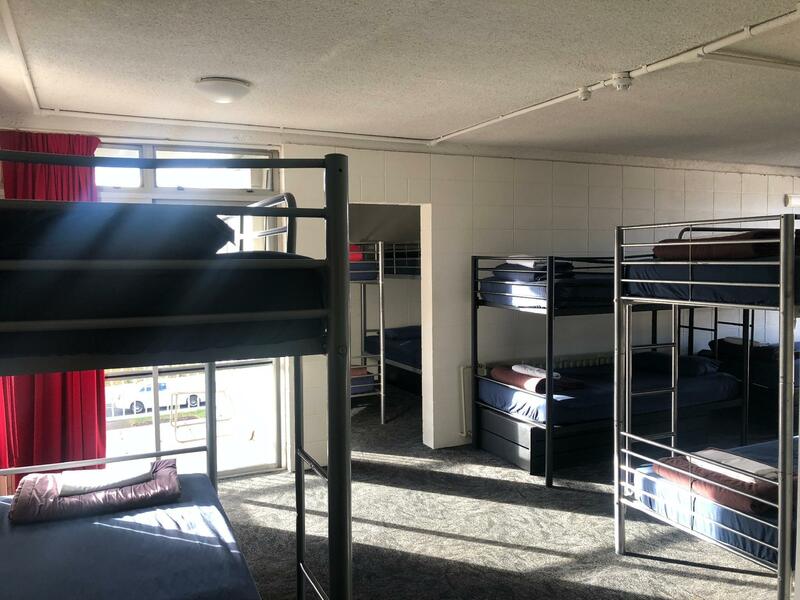 يشكل فندق Base Rotorua Hostel بموقعه الممتاز في منطقة ثقافة, سياحة, سبا ضمن مدينة روتوروا، مكاناً ملائماً لقضاء العطلة بعيداً عن عجقة أيام العمل. يمكن من هنا للضيوف الاستمتاع بسهولة الوصول إلى كل ما تقدمه هذه المدينة النابضة بالحياة. يضفي محيط الفندق اللطيف وقربه من تاماكي موري, روتورا ارت هستري, تي واكاريواروا سحراً خاصاً على هذا الفندق. ببساطة كل الخدمات وأساليب الضيافة التي تشتهر بها Base Backpackers تجعلك تشعر وكأنك في بيتك. تتضمن الميزات الرئيسية في هذا الفندق: مرافق مخصصة لذوي الاحتياجات الخاصة, Wi-Fi في المناطق العامة, ركن للسيارات, مركز رجال الأعمال, جولات. استمتع بوسائل الراحة الراقية في الغرف أثناء إقامتك هنا. بعض الغرف تتضمن الاتصال بشبكة الإنترنت (لاسلكي), غرف لغير المدخنين, تدفئة, شرفة/ تراس, مروحة لمساعدتك على استعادة طاقتك بعد يوم طويل. يقدم الفندق مجموعة رائعة من الخدمات كمثل حمام مياه حارة, حمام سباحة خارجي، لجعل إقامتك تجربة لا تنسى. 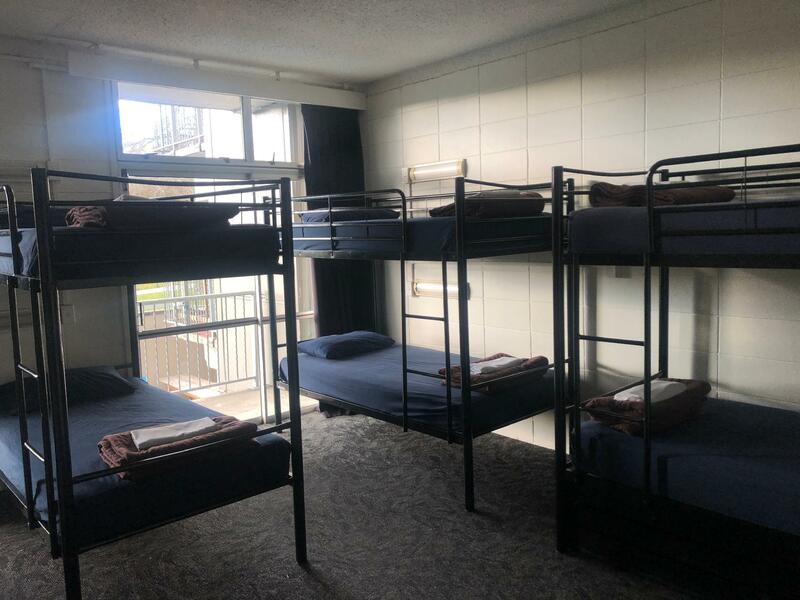 مهما كانت دواعي سفرك فإن Base Rotorua Hostel هو خيار ممتاز لإقامتك في روتوروا. Not as clean and tidy as other Base hostels e.g. Wanaka. Could do with a bit of attention to detail (filthy window frames, vents, sills, marked up walls, stained and grotty bedspreads, poorly vacuumed carpets etc). But the linen was fresh, the double bed was comfortable, the room spacious (although sparse) and the shared facilities generally satisfactory. Price reasonable but I think I’d pay a few dollars more next time and stay at the tidier YHA just a few metres away. The best thing about this hostel is the staff. They were so nice and helpful and willing to answer any questions you had about what to do while you are in the area regardless of your budget. Most of the staff were travelers as well so they understand what you are looking for. They have parking in the back which is great if you have a rental car for NZ. The room I was staying in was mostly empty which was also nice and quiet for sleeping. Overall, would highly recommend. Kia ora Paul. Thank you so much for taking the time to leave a review. 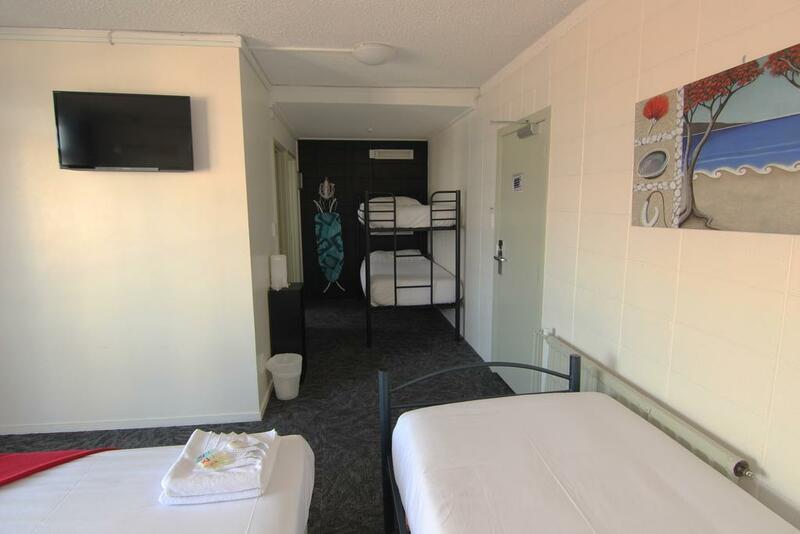 It sounds as though you enjoyed your stay here at Base Rotorua. The reception staff love being able to help with any queries/ problems that our guest may have and we're happy to hear that we did just that for you. All the best for future travels. I would recommend a free WiFi in our room ! Hi there, I'm so sorry to hear that you didn't enjoy your stay with us. We take pride in the customer service that we give so to hear this is really disappointing. We all forget things sometimes, especially over the summer period when the reception staff are run off their feet. We do apologise that you found your stay less than satisfactory and hope that you enjoyed the rest of your holiday. Kitchen is a bit in a mess. But room is clean and WARM, and staffs are friendly :) It's good backpacker. If you wanna stay in a jungle like atmosphere this is your kinda place. The place is meant to cater to backpackers who want to party and get easy hook ups. At night, is when the craziness happens, doors banging, drunks shouting in the middle of the night. Get some sleep during the day, you will need it. I stayed in a big family suite due to last minute booking. There is a Lava bar just right next to the hostel, so very noisy if you stayed over the weekend. The blanket of the room is smelly and no ventilation system in the bathroom/toilet, so there is some strong mouldy smell. There are flies flying around and annoyed you a lot. Early in the morning from 7am, the staff turn on loud music just for her self-satisfaction. I don't think I will come back. the receptionist was nice. hotel was clean and tidy. Everything was organized well. there is a bar nearby where you could enjoy discount if you chose Base Rotorua. some noise at night but tolerable when you close the windows. Free parking. Wifi a bit expensive, though first 50mb is free. We stayed for 2 days in this Hostel. The blonde girl at the reception wasn't very friendly but the rest of the staffs are nice. Swimming pool was clean, but couldn't find the Jacuzzi mentioned. The 2nd night stay without hot water pull us down after we had night swim in the pool. Generally we were happy as Agoda was having promotion. gt location,room with a view over the park.had a very enjoyable stay,the open air hot pool was fantastic . the hotel is not nice at all, though the price is cheap. it is quite convenient. Kia ora, thanks for taking the time to leave a review. We are very happy to hear that you enjoyed the location and that you found the staff friendly. We hope you enjoyed your trip. Hostel in guter Lage, sehr zentral! Das Personal ist ganz freundlich. Die Zimmer sind ok. Es gab Bäder direkt auf den Zimmern, was ganz cool ist. Leider waren sowohl im Zimmer als auch im Bad Schimmelflecken. Richtig toll ist der mit ca. 30°C beheizte große Swimmingpool, in dem man auch mit T-Shirt schwimmen gehen kann! =) Für den Preis insgesamt ok.
Kia ora, thanks for taking the time to leave a review! We are very happy to hear that you enjoyed your stay and that you especially liked our swimming pool. We hope you had a great holiday!